We provide loans on anything of value, large or small. 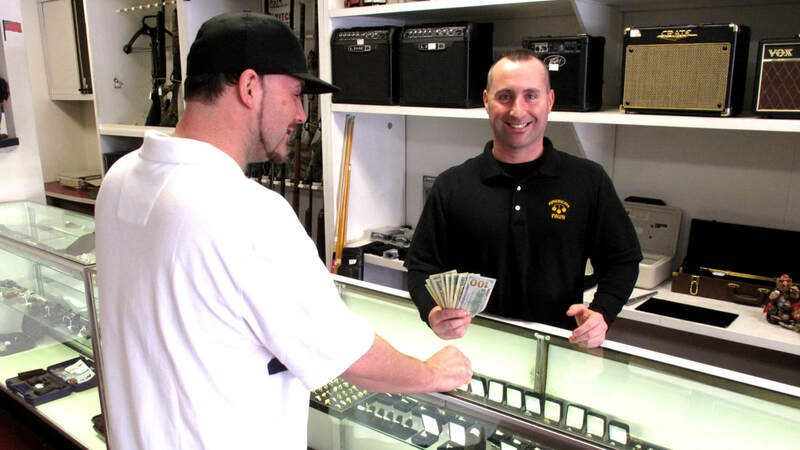 The item pawned serves as collateral, and its value determines the loan amount. A pawn is simply a collateral loan, where your item of value is the collateral and we give you a loan based on that value. We provide a quick way for you to get the cash you need to pay bills, buy groceries etc, to get you through until payday. A collateral loan with us is fast and easy, without the worry, time and hassle of dealing with a bank. The interest is a one-time finance charge, which is a set amount based on the amount of money loaned to you. The pawn ticket will list the loan amount as “Amount Financed”, and the interest as “Finance Charge”. A third entry reading “Total of Payments” is the sum of the two and represents what you pay when you are ready to reclaim your item. How long do I have to repay a loan? Loans are for 30-day periods, with your due date printed in large font at the bottom of your pawn ticket. You can repay the loan and reclaim your item by bringing in the total payment at any point during the 30-day period. What happens if I don’t have enough money to repay the loan? If you don’t have the total payment, you can come in at any time within the 30-day period and pay the interest only. This will extend the loan another 30 days, and you will receive a new ticket with the new due date at the bottom. If you are interested in simply selling your items, we also purchase merchandise for cash on the spot. Let us know how we can best suit your needs!